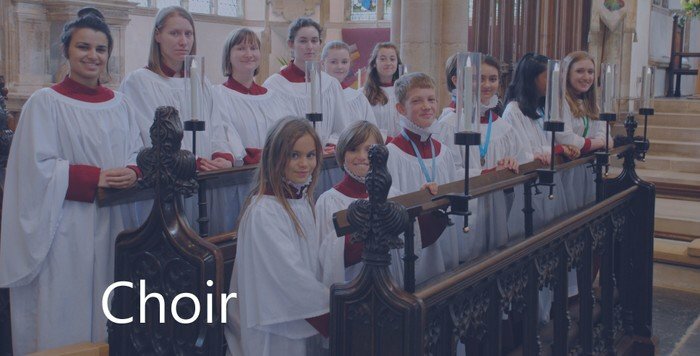 Membership of the choristers is open to children aged 7 and above. 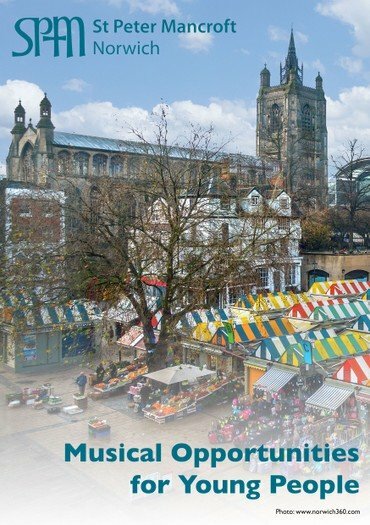 As well as receiving professional singing and music theory tuition, singers enjoy subsidised social activities, can apply for financial assistance with learning an instrument, make lots of new friends, and - above all - have fun! The choristers meet on Monday and Friday evenings during term-time to learn music, play games, and work towards RSCM Voice for Life medals. They sing for one service each Sunday during term-time, with some extra commitments at Christmas and Easter. 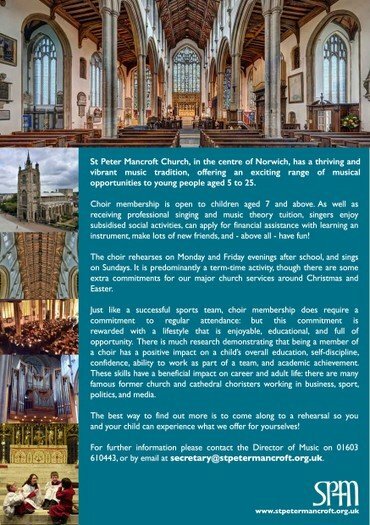 To find out more please download our chorister information leaflet here or contact the Director of Music on 01603 610443 or via secretary@stpetermancroft.org.uk.